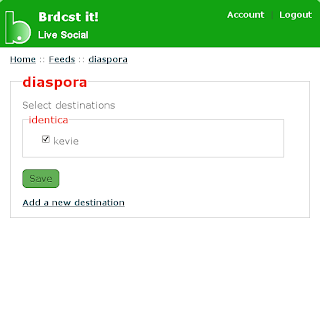 Diaspora is widely described as the open source version of facebook and google+, however it is disappointing that, using your Diaspora settings, you can link with facebook, twitter and tumblr but not identi.ca. But there is a workaround. 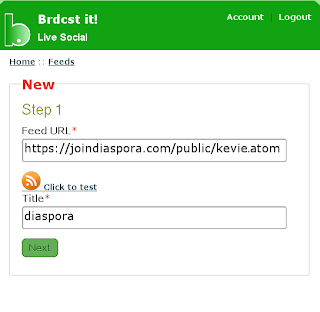 Once you have received your invitation log in to your new account at brdcst.it We'll do the destination first, trust me it's easier. I'll now break this into steps to make it easier to follow. Before we can setup brdcst.it properly, we need the feed for your Diaspora posts. 2. This will open up a new floating window, click on RSS, this will open up a new page. Take a note of the web page address. 3. Go to the brdcst.it website. 4. 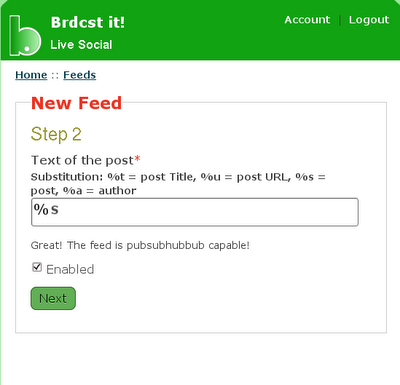 On the welcome screen you'll see the number of feeds and destinations you currently have setup. Click on Add/Edit beside destinations, this will lead you to a new screen. 12. 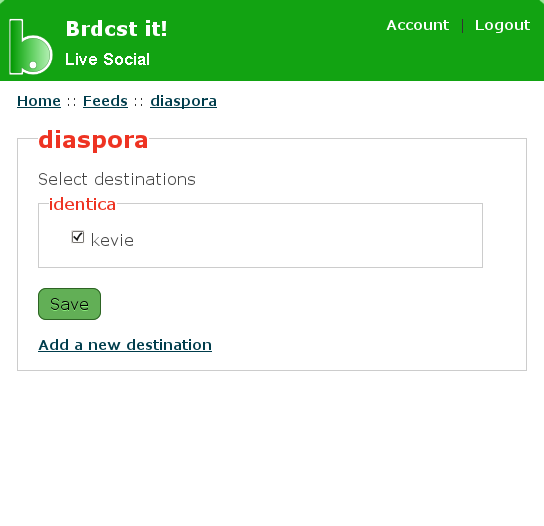 Now log out of brdcst.it and your done, your posts from Diaspora will be updated on your identi.ca timeline. 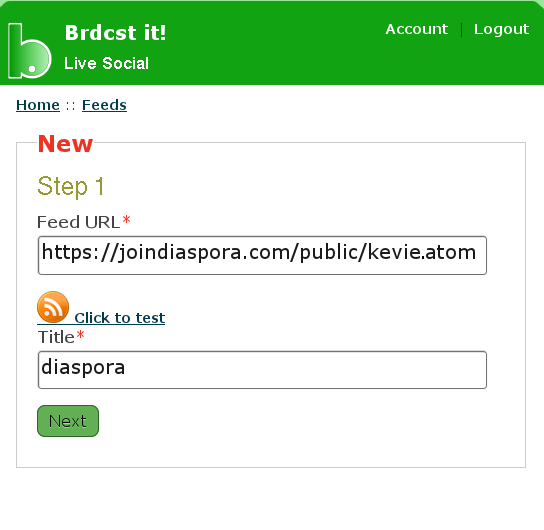 Is more simpler, without intermediate services, directly from diaspora to identica using feeds! Is another method, perhaps this link will can help somebody. i try to keep everything open source too - i am a freeware developer!